Pericoronitis is a condition that develops when the gum tissue surrounding the molars becomes irritated and inflamed. It can be quite painful. The typical cause is food and bacteria becoming trapped underneath a piece of gum tissue that covers a partially erupted tooth. 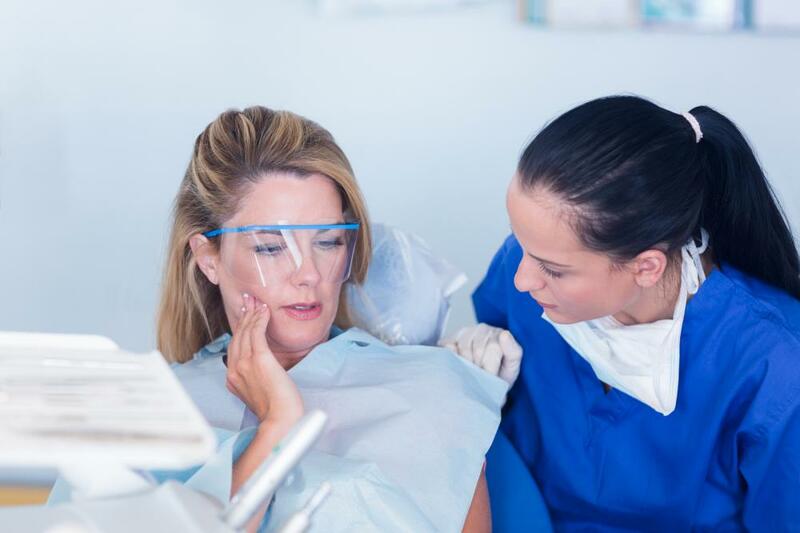 This situation occurs most frequently with young adults from the approximate ages of 17 to 24 who have wisdom teeth coming in with no place to go. The adult mouth can only hold 28 teeth. Some people also have one to four wisdom teeth come in, bringing the possible number of teeth up to 32. This so-called third set of molars serves no useful purpose and can also cause considerable oral health issues if not extracted. People who have impacted wisdom teeth, which means that the tooth grows at an awkward angle, tend to experience the most significant problems. That is because the improper position of the wisdom teeth enables bacteria to invade and cause an infection. The pressure from the impacted wisdom teeth can also cause the other teeth to move out of alignment. This can make it difficult for you to chew your food properly and give you the appearance of a crooked smile. At O.C. Dental Specialists, we recommend removing the wisdom teeth as early as possible to prevent these complications. On the day of your oral surgery, we provide you with anesthesia to numb the pain of removal. After extracting the wisdom teeth with special dental instruments, your dentist will suture the gum area. You should bite down on a clean gauze pad to control bleeding and change it as soon as it becomes soaked. We will also discuss diet and pain relief at home as you recover from your oral surgery. Keep in mind that poor oral hygiene can make the pain of wisdom teeth worse. Be sure to visit us every six months for a check-up and cleaning.